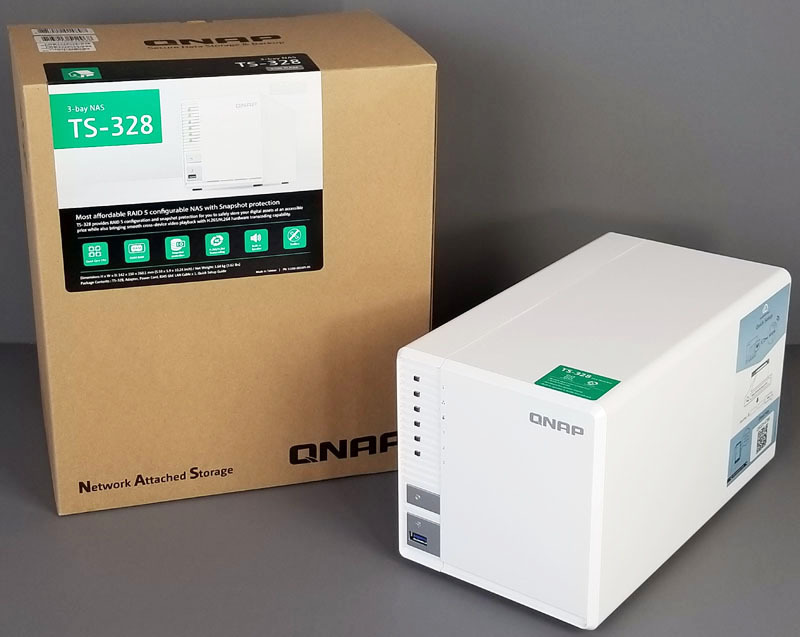 The QNAP TS-328 is a NAS on a mission: re-define capabilities in the low-cost NAS arena by making RAID 5 a viable alternative. For years, 2-bay NAS units dominated the low-cost NAS segment. Two bays make a lot of sense since they allow a user to create network storage using mirrored hard drives. Although one pays twice as much for the capacity, at least there is redundancy in the network target making a 2-bay NAS an enormous upgrade over a single drive enclosure. 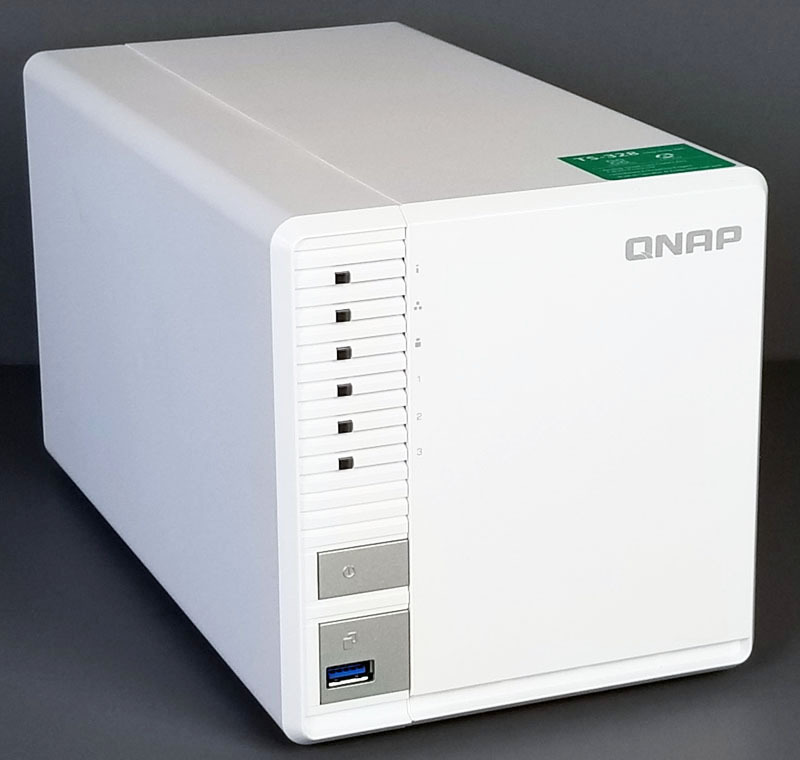 By adding another hard drive bay, the QNAP TS-328 makes RAID 5 possible, drastically lowering the cost of redundancy and capabilities of a NAS in this segment. We used a minimum capacity of 10TB. 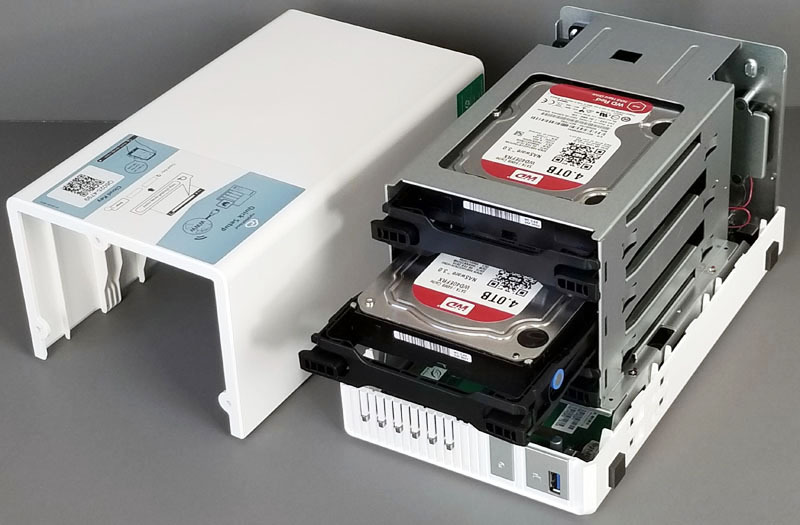 Since hard drive pricing is not linear, e.g., the largest and smallest drives cost the most per TB, we must use 2x 10TB hard drives in the 2-bay NAS. 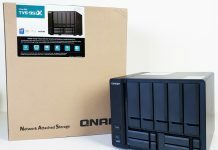 In the 3-bay QNAP TS-328, we can use 3x 6TB drives. Although the 2-bay NAS is less expensive, the total cost is lower for the 3-bay solution using RAID 5. We also have a higher usable capacity (12TB v. 10TB.) The 2-bay $200 NAS pricepoint is then about 29% more expensive per TB if you want a 10TB NAS than the QNAP TS-328. For home users, the nominal $61 savings plus 2TB extra with the QNAP TS-328 RAID 5 solution will seem excellent. For managed service providers and organizations with edge locations (e.g., retail) who deploy many of these boxes, that $61 adds up over time. Even adding a few extra watts for a third hard drive will not cost $61 over the life of the unit. Looking at the QNAP TS-328, this is the essential value proposition. With that context, let us look at the unit. 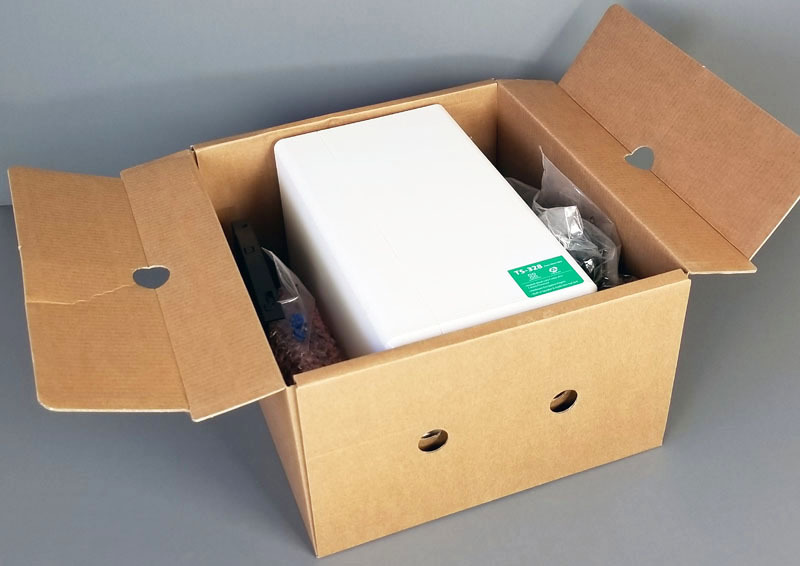 The TS-328 comes in the usual QNAP boxing, brown recyclable cardboard with black printing is the stable of QNAP product shipping boxes for years. We like this since flashy boxes add cost. With NAS units, the value is what is inside the cardboard box. Outside labeling is also sparse with minimal specifications and features listed. 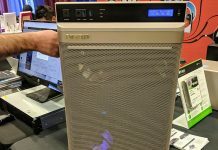 There is enough data to get the basic configuration and options for the TS-328 with the main disclaimer being the most affordable RAID 5 NAS. Opening the retail box, we find the TS-328 and accessories on both sides of the NAS. Packaging is done very well and protects the contents from rough handling in shipping. 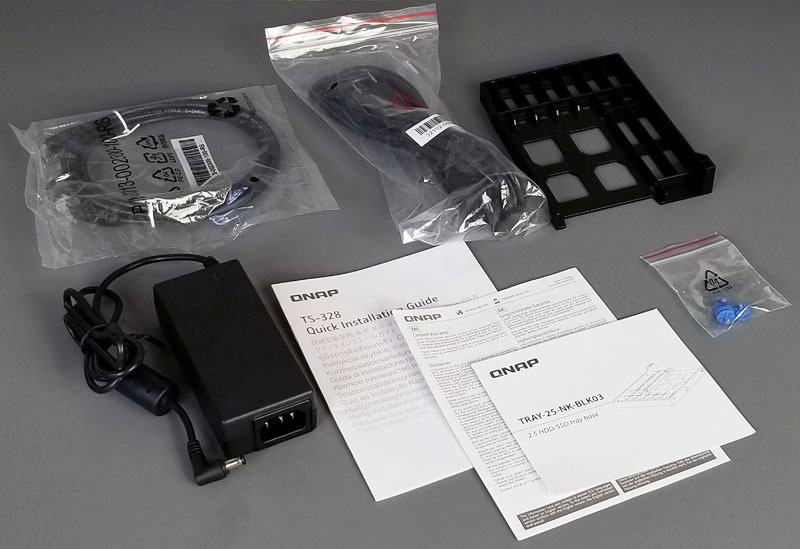 Accessories included with the QNAP TS-328 are, 1 x RJ45 ethernet cable, AC adapter and power cable, a small bag of extra rubber mounts for the hard drive trays and a Quick Installation Guide. One of the drive trays also includes mountings for 2.5” drives such as an SSD for caching. Taking the TS-328 out of the box, we take a look at the front of the NAS. Along the left side, we find three LED’s for hard drive activity and others for network connection status, power and network activity. Below the LED’s a power button location and a USB 3.0 port tied to the USB Copy button. Moving along, we turn the NAS around to get a look at the back of the TS-328. For cooling the QNAP TS-328, a 9cm fan covers most of the back; two RJ45 Gigabit LAN ports provide network connectivity. USB ports include one USB 2.0 and one USB 3.0 port. Audio ports are a 3.5mm line out jack. The TS-328 also provides audio cues through the back-mounted speaker. Three screws hold the outside shell in place, removing these screws allows the side case removal to access the hard drive bays inside. 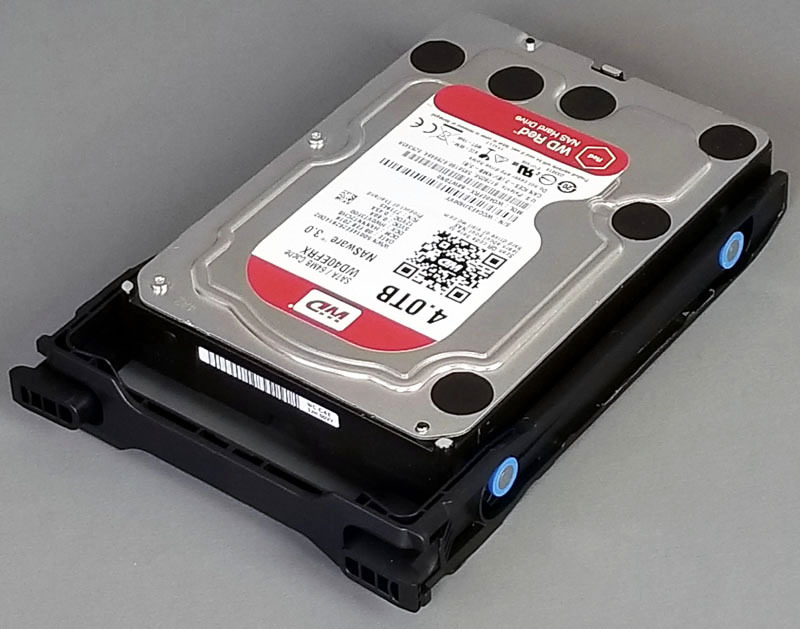 Installing 3.5” hard drives is tool-free and merely inserting an HDD into the tray and pushing the blue rubber inserts into the drive location holes. Once the HDD mounting is complete, they will slide into the appropriate bay and locked into place. We do prefer hot-swap drives accessed through the front. Having internal drives adds extra steps to access the hard drives. Many 2-bay NAS units use this method, so it is common in the segment. Adding hot-swap bays are more costly, and the focus of this unit is making costs reasonable. Under the cover, the QNAP TS-328 includes a Realtek RTD1296 quad-core 1.4 GHz processor with 2GB DDR4 memory. The Realtek Arm CPU is a Cortex A53 processor with an Arm Mali-T820MP3 GPU that provides for 4KP60 H.265/VP9 decode engines. This solution is great for a low-cost NAS. 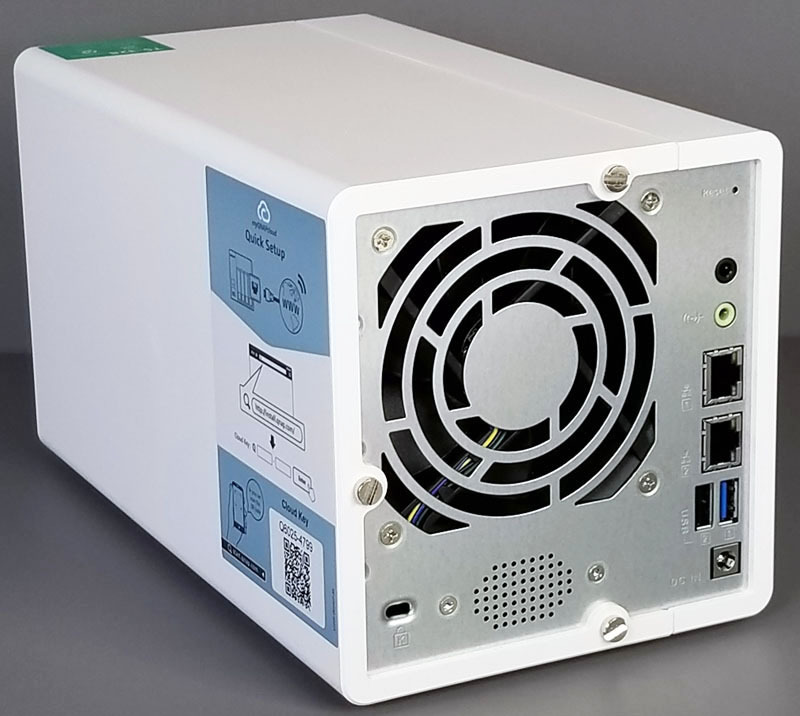 QNAP has several higher-end solutions for those who want to run large numbers of virtual machines or Docker containers on their NAS. Now that we have looked at the value proposition and hardware, we will next look at the management features, performance, software, and give our final thoughts. 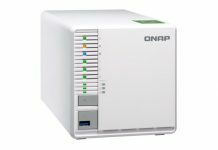 If you are in the market for a low-cost NAS, the QNAP TS-328 is a 3-bay RAID 5 capable NAS that has a unique value proposition over traditional 2-bay units. It can offer a lower cost per TB than smaller solutions. We like that the Arm-based NAS is able to offer encryption with little to no performance impact. That first chart on p1 is really the article summary. Buy this. Get more capacity cheaper. Profit. Of course RAID-5 has it’s issues with write performance, not that this is really a problem over a slow network. I still wonder though what happens when you pull the plug while writing lots of small files. 3-bay is good for supporting RAID5, but in many cases the 4-bay version and terabyte price is even cheaper. As the Realtek RTD1296 SOC only provides 2 SATA how is the 3rd drive configured/connected? I think the support of Btrfs or ZFS is more important RAID 5. Assuming most people don’t have a need for more than 2 or 4TB NAS, why hasn’t more 2.5″ NAS come out? I found the design a bit old school to me but a 3 bay that’s quite new.